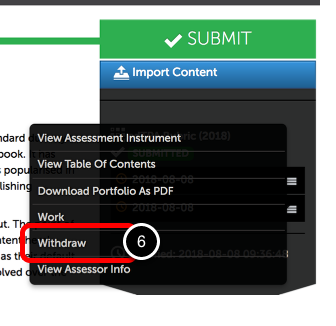 Withdrawing a submission can be useful if you have submitted work to the wrong assessor, from the wrong portfolio section, or wish to change the content that you submitted. You can not withdraw a submission that has already been assessed. Locate the portfolio from which you made the submission. 4. 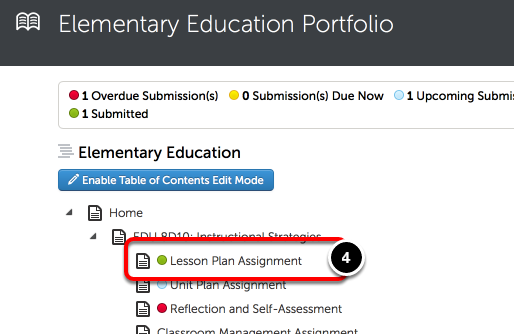 Select the portfolio page from which you made the submission. 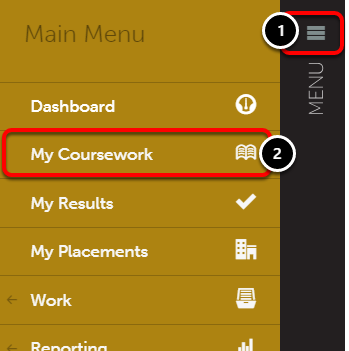 The portfolio page will have a green circle to its left, indicating that you have made a submission from this page. 5. 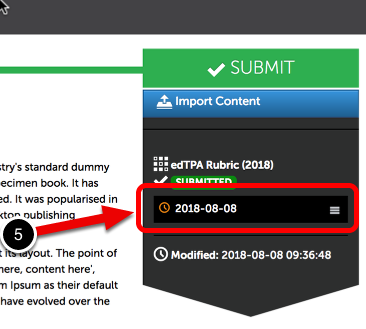 Click on the submission date menu below the Submit button. 6. Select Withdraw from the menu. The withdrawal will be confirmed in green.